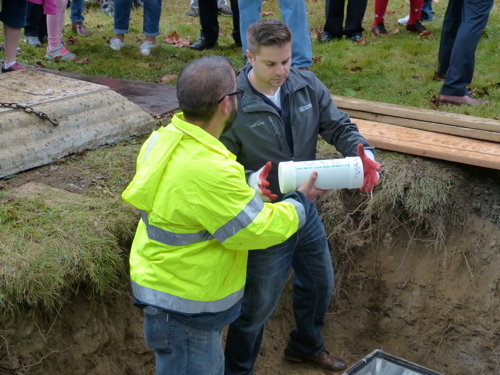 Due to the large number of images, the Time Capsule pages may take extra time to load. 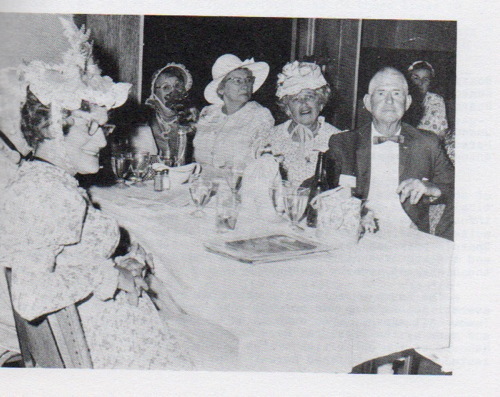 Viewing of these pages on a phone is NOT recommended. 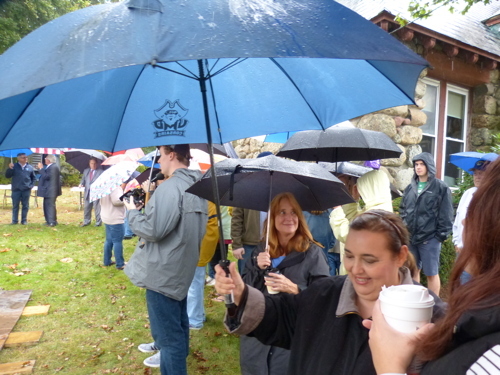 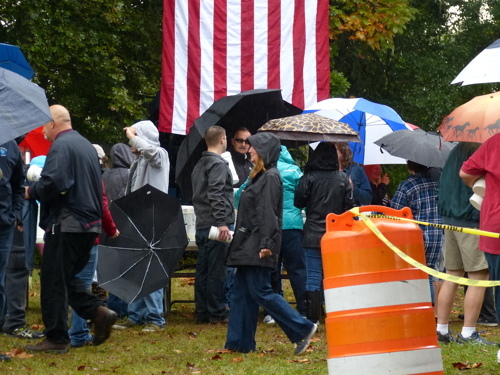 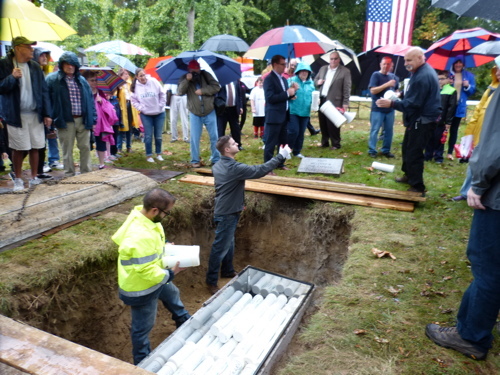 On October 14th 2017 at 11:00 a.m, as part of the 350th anniversary celebration of the founding of the Town of Swansea, the Millenium Time Capsule was opened. 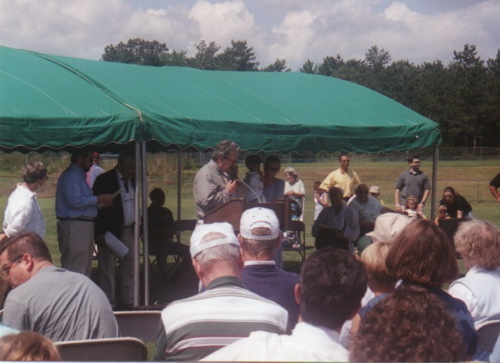 To read about the events in the new, and to see the events of the day, please visit the 2017 page. 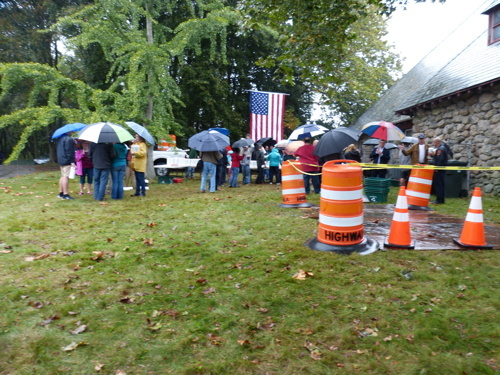 To see some photos from the opening, see below. 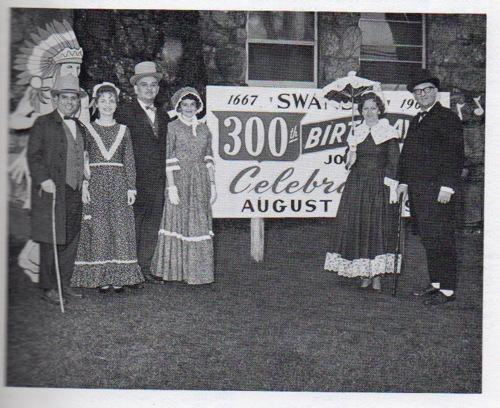 On August 19, 1967, as part of huge town-wide celebration of the 300th anniversary of Swansea's establishment, a Time Capsule was buried in front of the Town Hall. 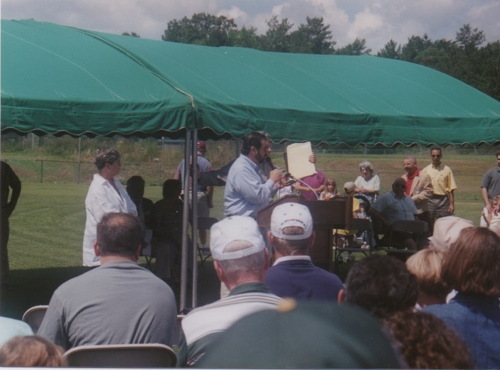 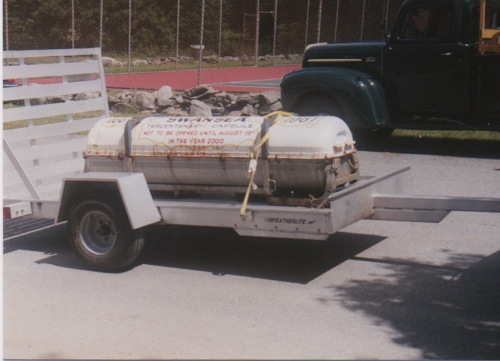 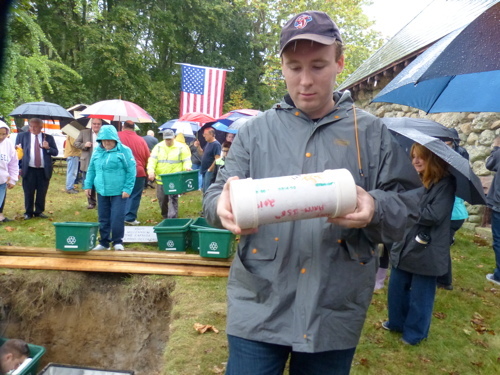 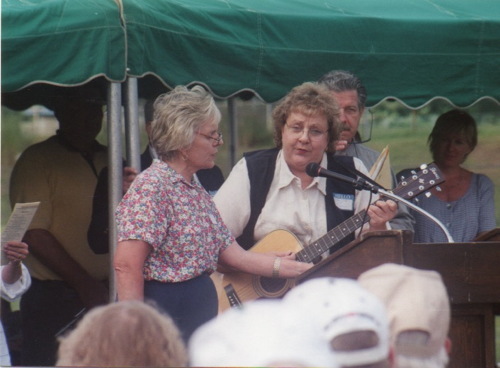 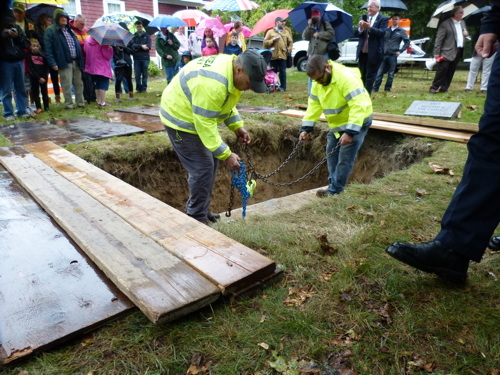 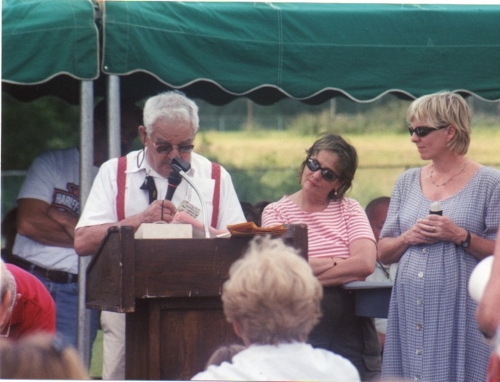 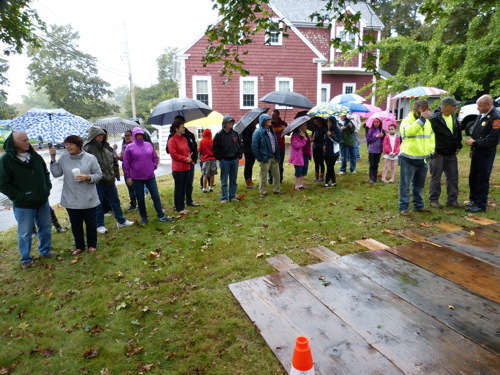 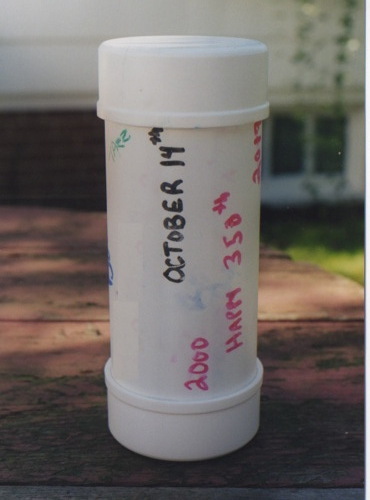 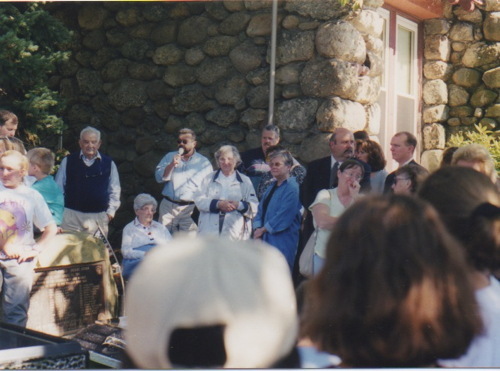 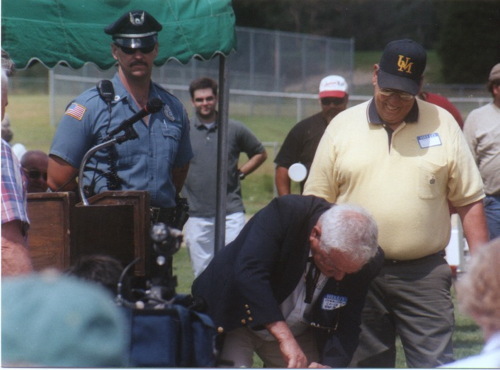 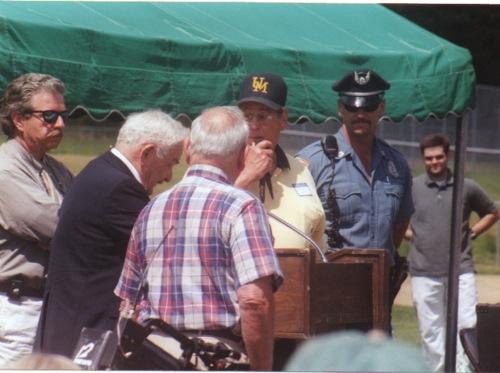 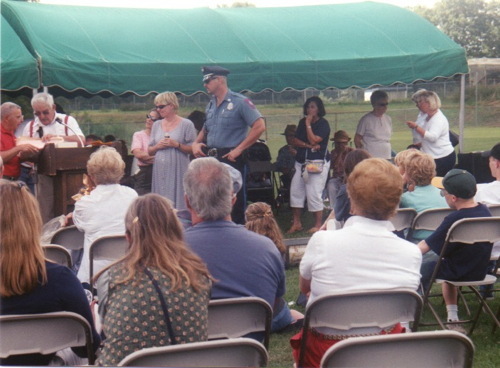 A decree was made by the Board of Selectmen that the time capsule be opened in the year 2000. 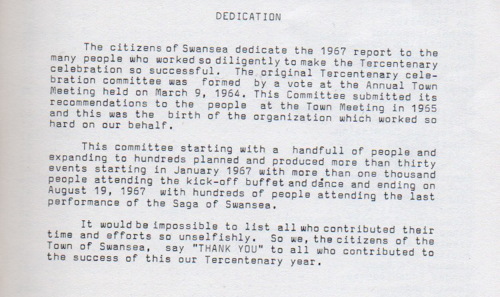 "Swansea is a community with a long and proud history. 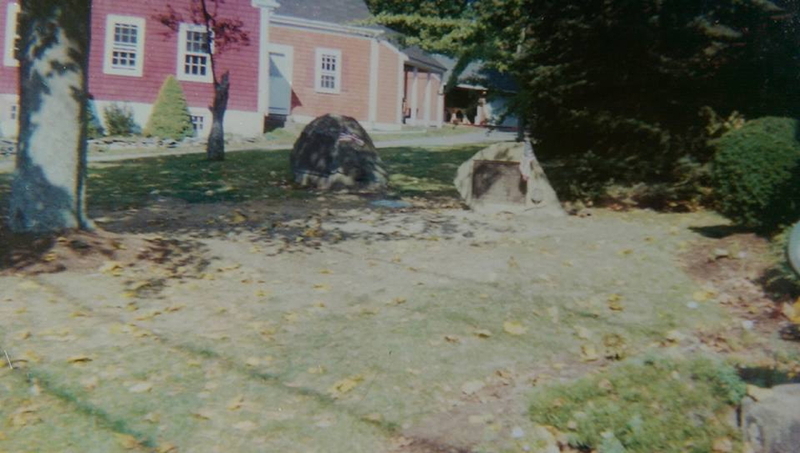 Founded in 1667, it is one of the oldest communities in Massachusetts. 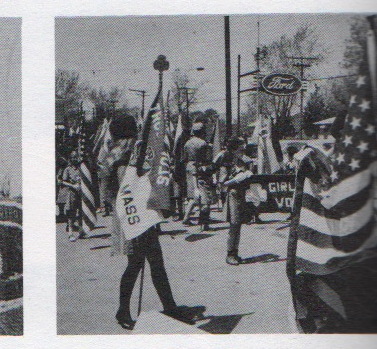 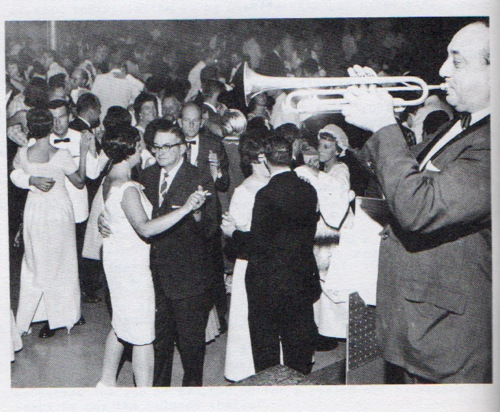 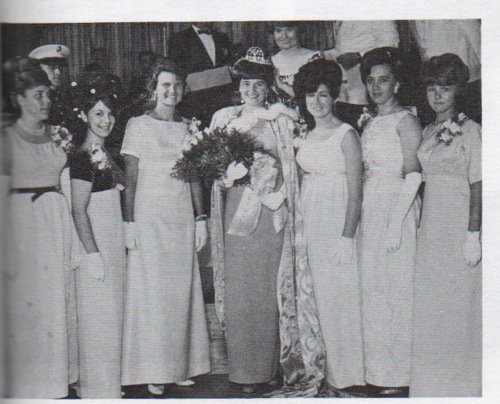 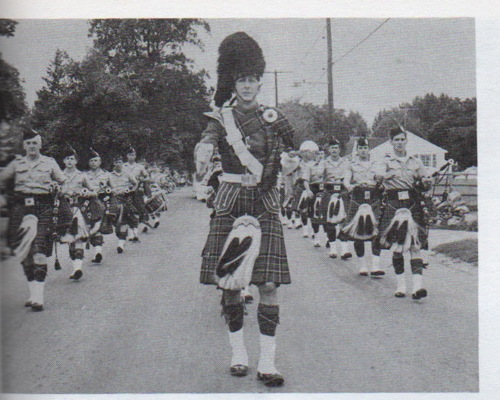 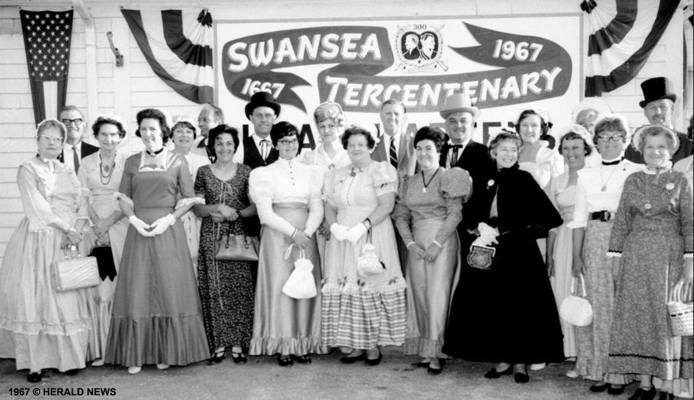 If you were living in Swansea in 1967, you will recall that the citizens of Swansea united in a town-wide celebration of the 300th anniversary of its establishment. 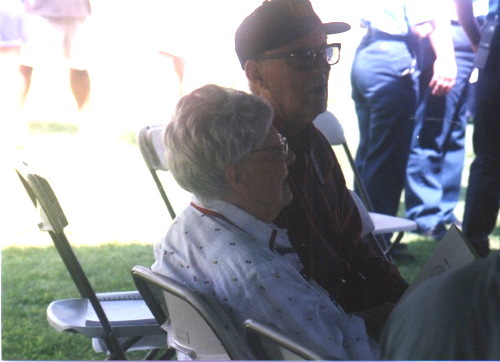 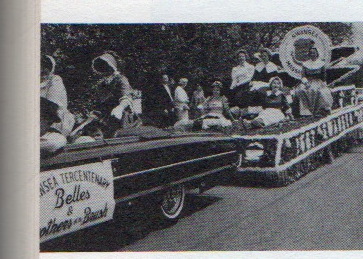 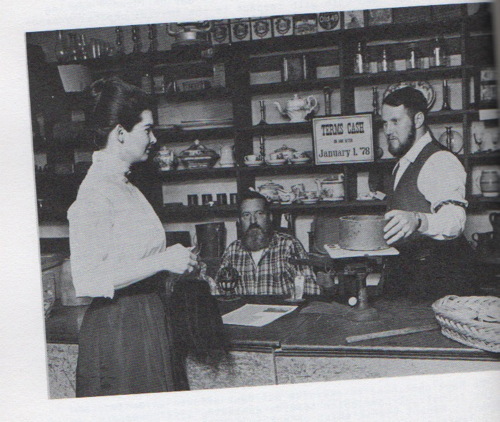 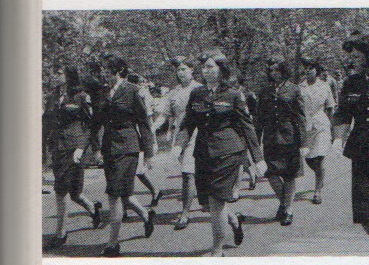 The celebration was a huge success which involved hundreds of residents of all ages in a variety of activities including a Costume Ball, dinner dances, the men in "The Brothers of the Brush" and the enforcers known as "The Keystone Kops," and the ladies in costumed "Tercentennial Belles." 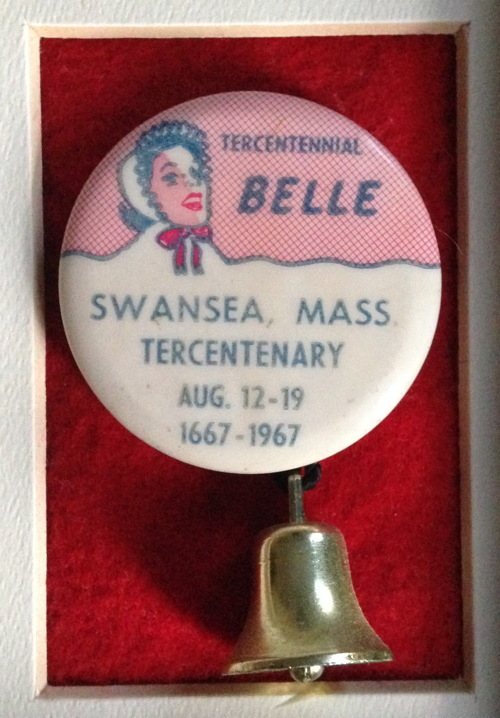 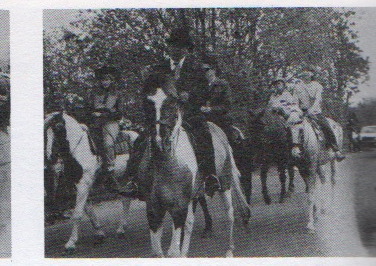 There was a golf tournament open to everyone interested, and the youth took part in block dances and the children's parade: the huge parade which included scores of floats, bands and marchers and the Swansea Spectacle, presented by a cast of scores of residents of all ages. 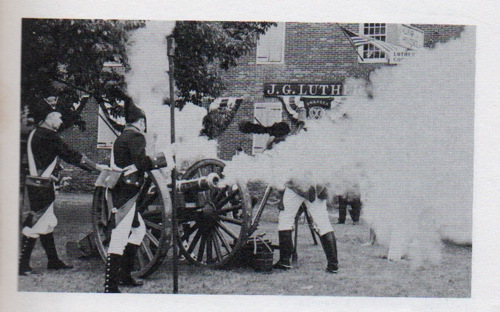 The spectacle, which portrayed the development of Swansea, included the onset of the King Philip War which began in Swansea in 1675, was presented at the Covel estate on six nights followed by a nightly fireworks display. 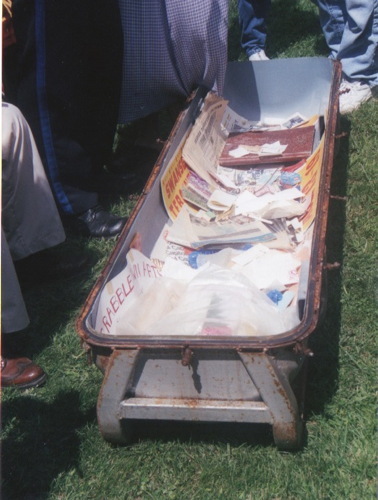 One of the activities of the celebration which brings it to mind at this time was the burial of a 'Time Capsule' on August 19, 1967 with the proviso that it be opened in the year 2000." 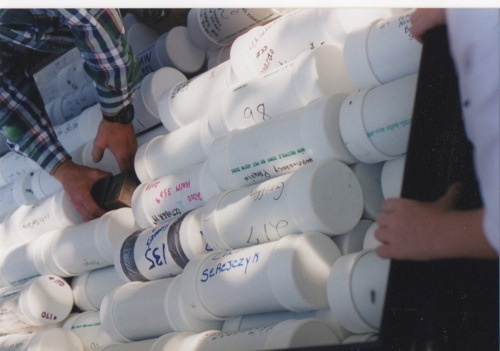 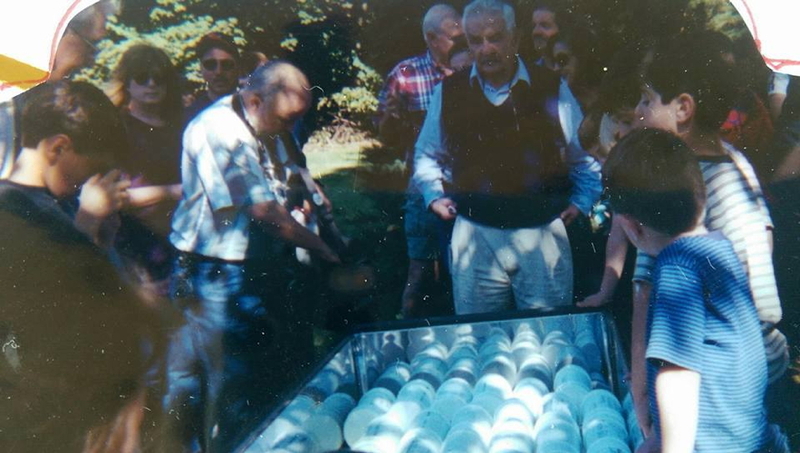 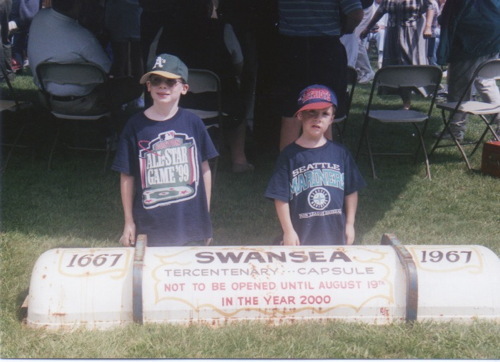 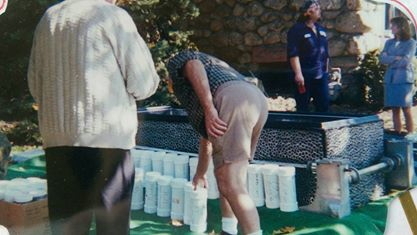 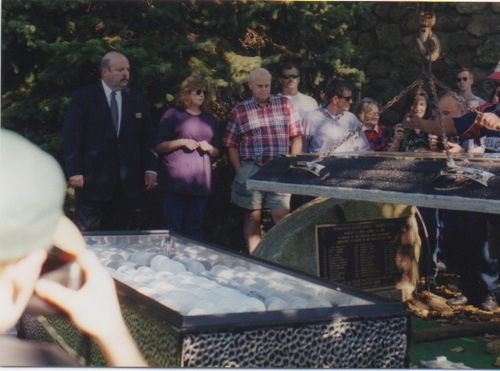 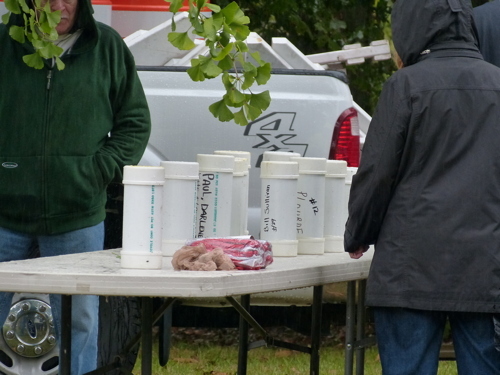 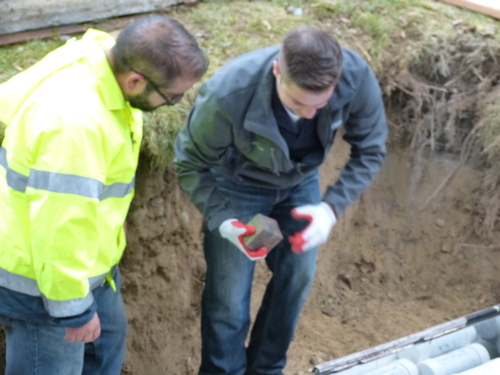 The caption reads "Swansea Crowd surrounds time capsule buried Saturday on the grounds of the town hall." 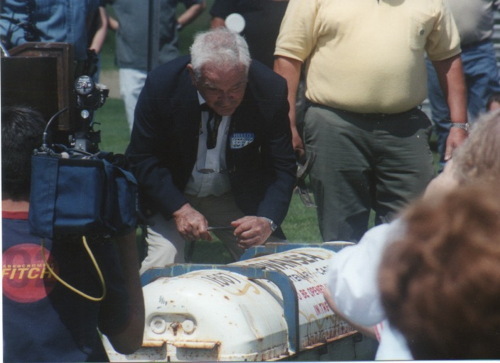 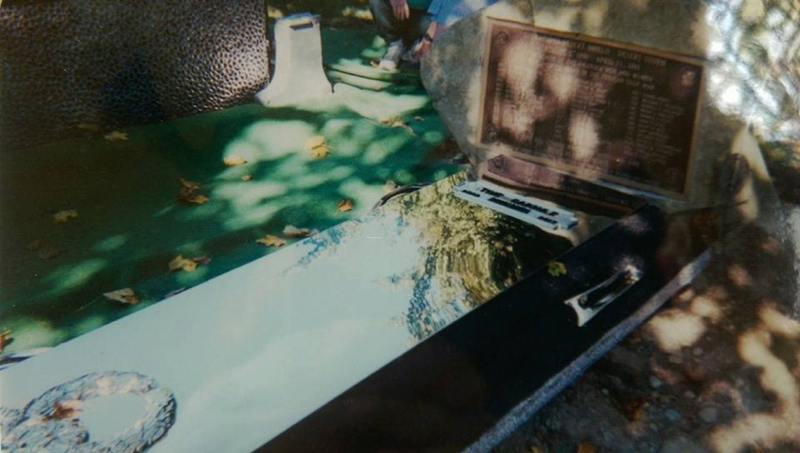 On Saturday, August 19, 2000, the 1967 Time Capsule was opened. 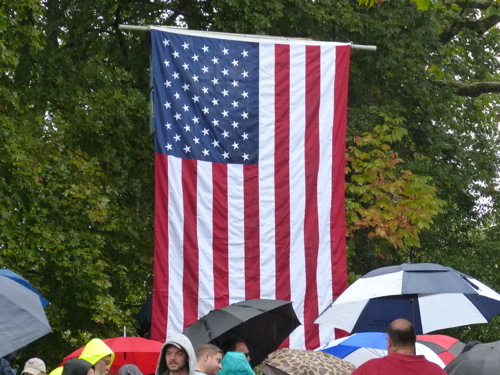 To read about the events in the news, see videos of the opening and the parade, and to see the events of the day, please visit this page. 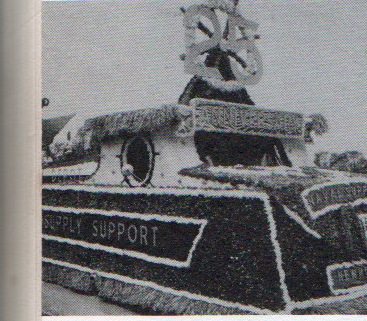 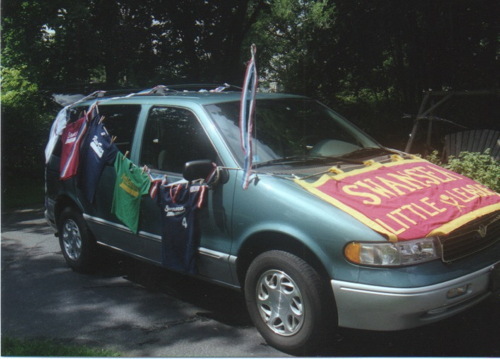 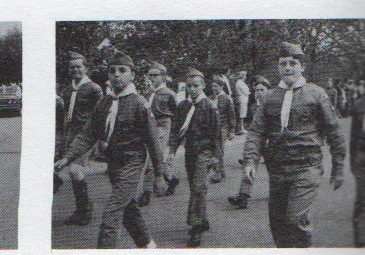 From the Time Capsule Parade - The Winner! 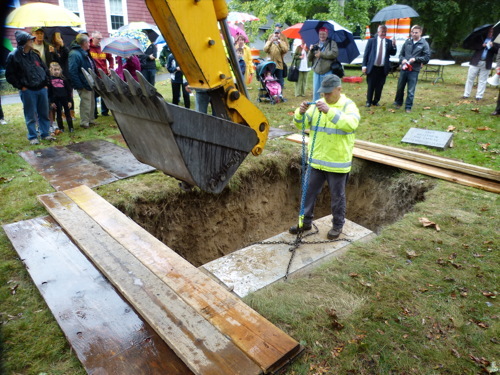 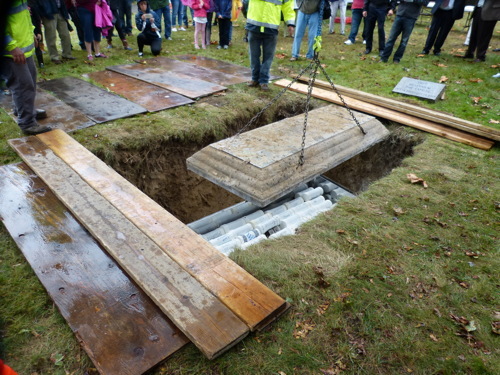 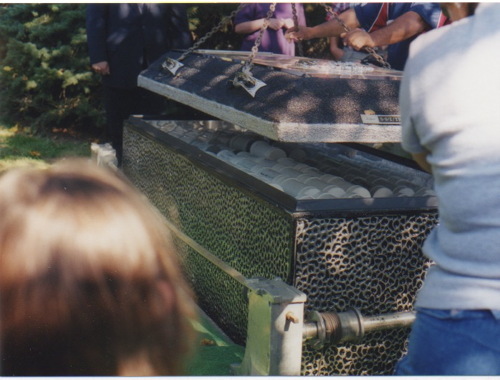 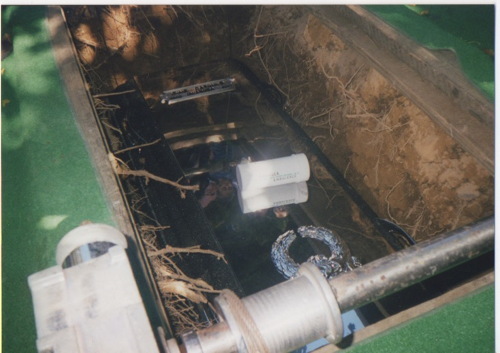 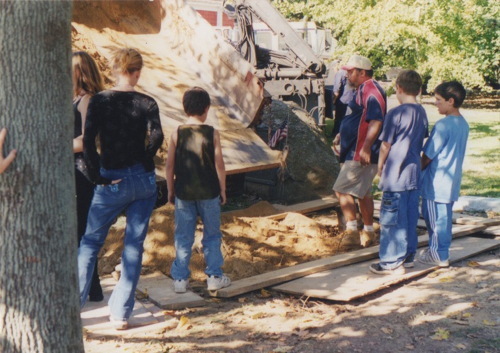 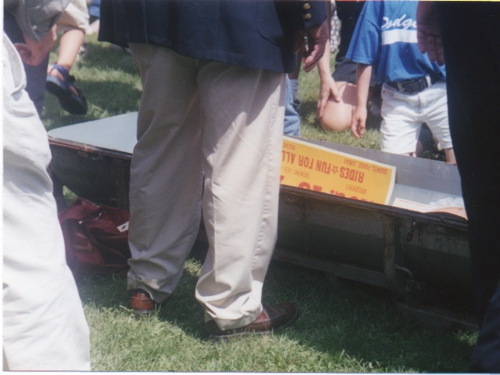 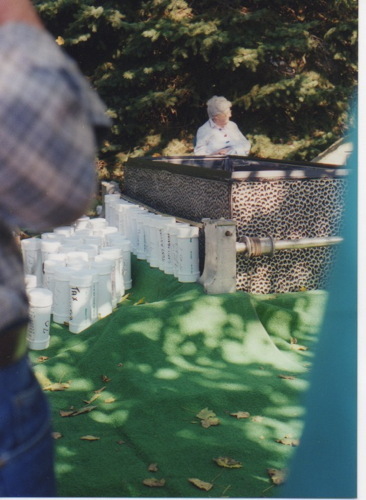 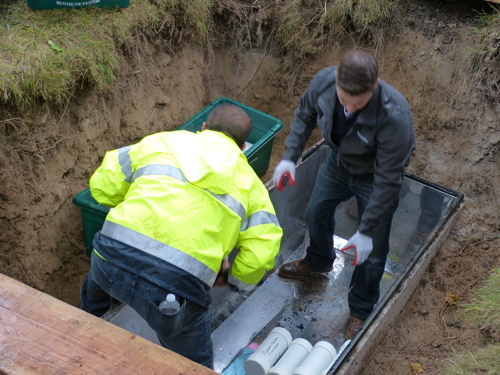 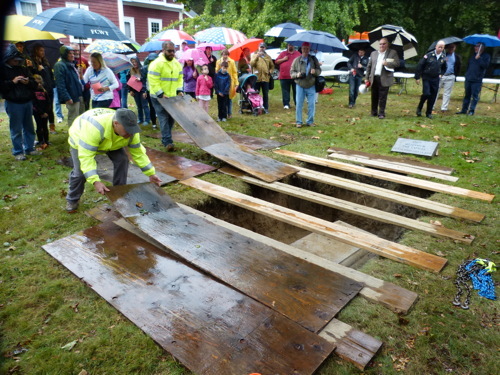 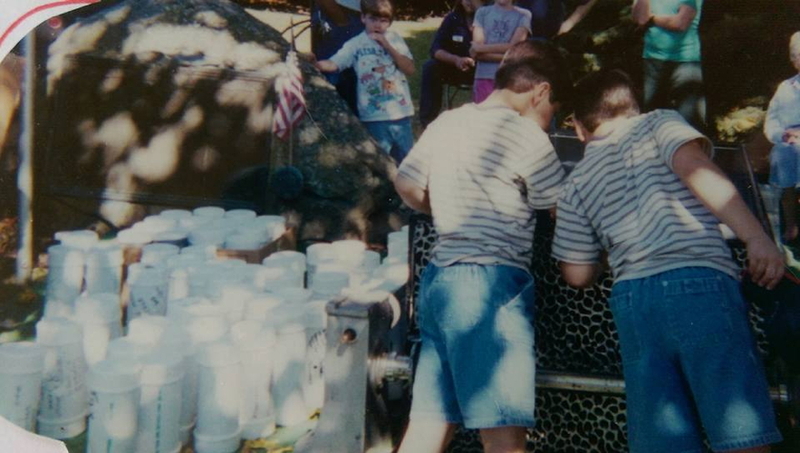 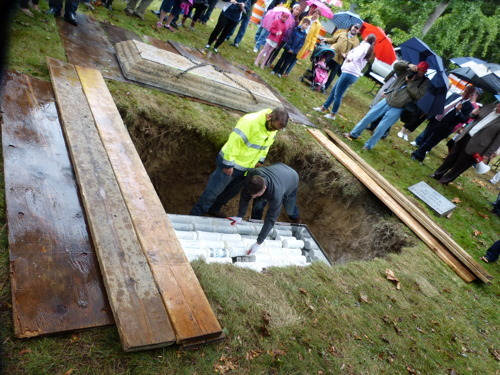 On Saturday, October 14, 2000, at 1:00 p.m., a Millenium Time Capsule vault was buried in front of the town hall. 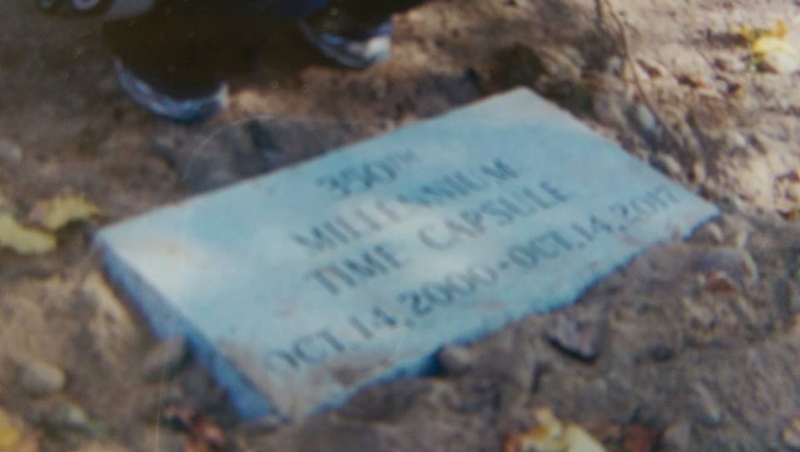 The Millenium Time Capsule is comprised of 250 individual time capsules that were available for purchase by town residents for $5.00 each. 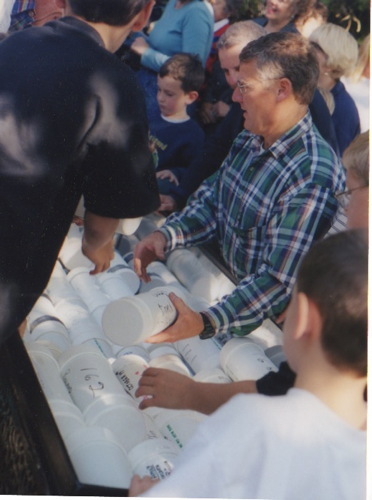 Each school in town was also allotted 3 capsules. 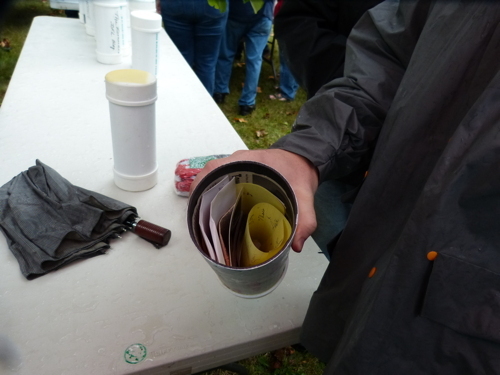 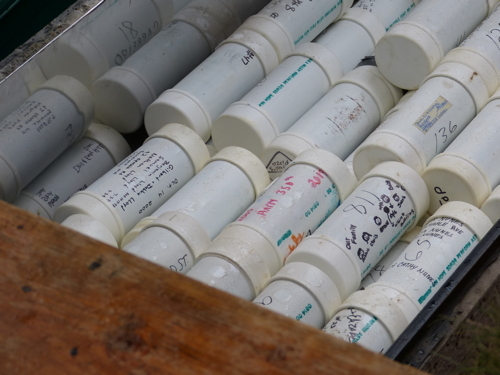 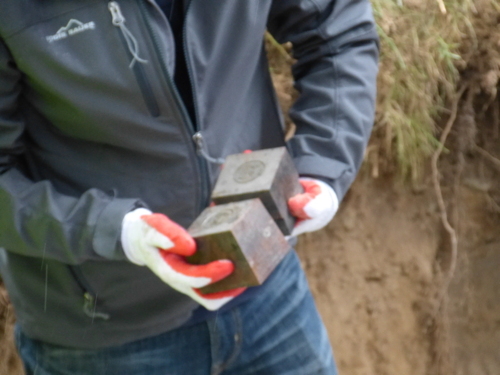 Time capsules were purchased from Roger Gibeau and made by Winthrop Sanford of Building Materials, Inc. 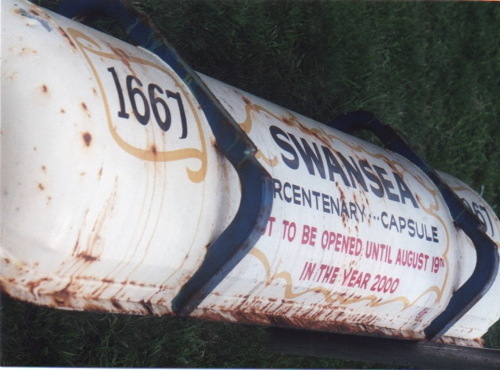 This new capsule will be opened on or around October 14th, 2017, on the 350th anniversary of the founding of the Town of Swansea. 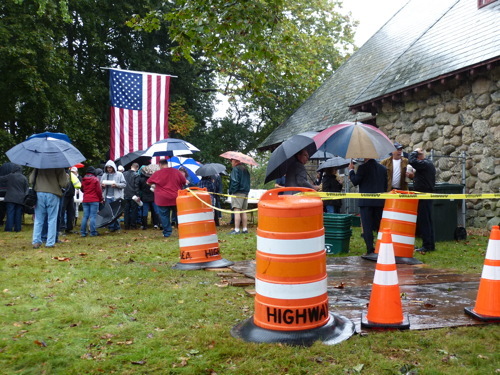 To read about the events in the news, please visit this page. 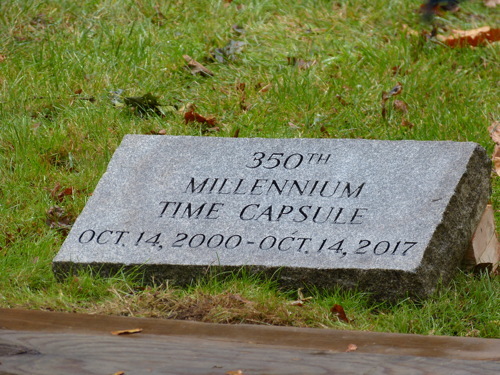 On Saturday, October 14, 2017, the 2000 Millenium Time Capsule was opened. 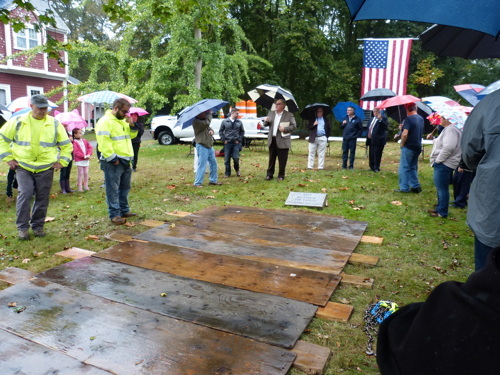 To read about the events in the news and to see the events of the day, please visit this page.